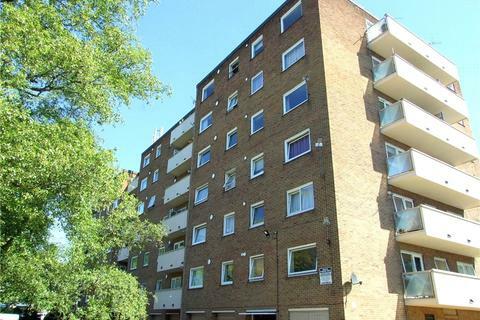 Viewing is highly recommended to fully appreciate this ready to move into third floor apartment benefitting from appliances including integrated oven and hob, washer dryer and fridge. In brief the UPVC double glazed accommodation comprises: Communal entrance hall with access to the front and the rear of the building, caretaker on site, stairs and a lift to all floors whilst the apartment itself has an Entrance hall with a useful storage cupboard and airing cupboard housing the hot water cylinder and linen shelving, a spacious lounge with separated kitchen area, a double bedroom with a built in double wardrobe and a shower room with three piece suite in white. There is a door from the lounge leading to a small balcony area ideal for al fresco dining. Kedleston Court is particularly convenient for Park Farm Shopping Centre, local schools, the University, public transport routes, recreational facilities including Markeaton Park and Allestree Park, Golf Course and Nature Reserve and useful road links via the A6, A52, A38 and A50 networks. Having range of wall, base and drawer units incorporating ample food preparation surfaces and stainless steel sink unit and drainer, integrated electric hob and oven, washer dryer and fridge to be included. Having UPVC window, economy 7 storage heater, built in wardrobe with hanging rail and shelving. Having three piece suite comprising wash basin with cupboard under and mirror and light over, wash basin, shower cubicle, fan heater, tiled walls and floor. Property reference sd9VU8cGOn8. The information displayed about this property comprises a property advertisement. OnTheMarket.com makes no warranty as to the accuracy or completeness of the advertisement or any linked or associated information, and OnTheMarket.com has no control over the content. This property advertisement does not constitute property particulars. The information is provided and maintained by Lewis Adam Estate Agents - Allestree. Please contact the selling agent directly to obtain any information which may be available under the terms of The Energy Performance of Buildings (Certificates and Inspections) (England and Wales) Regulations 2007 or the Home Report if in relation to a residential property in Scotland.